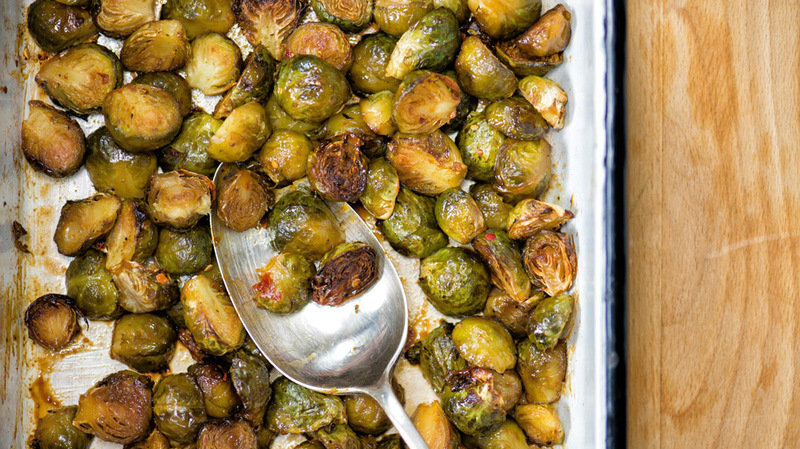 Umami Brussels Sprouts — Laura Santtini | Life is Delicious! Gone are the days of pinching your nose or chasing boiled green balls around your plate. This is one of the best ways to prepare brussels sprouts - and this umami-packed recipe will ensure that everyone around the table asks for a second helping. Cut the sprouts in half and place on a baking sheet. Whisk together all the ingredients and pour over the Brussels sprouts. Toss to evenly coat. Place in the centre of the oven and roast for 30-45 minutes, shaking the pan every 10 minutes or so to ensure even browning. Once browned and a little bit crispy, remove from oven. I like to add a good squeeze of lime before serving, for an extra burst of flavor.